Watches are one of the very few items that any man wears to bring out their true character. A watch is the only acceptable face of a man’s jewelry. The man’s decision on their timepiece speaks a lot about them. A man will actually feel naked without their watch. Many have grown to be accustomed to that kind of a watch. It affects their confidence and appearance a lot. No matter how much we rely on our phones for time, it can never be compared with a watch. Watches will have the better functionality of display and longevity which can make you stand out among many people. A watch is a must-have wrist companion. It should endure the roughest conditions of time and last longer. You will never go wrong with the military or paramilitary watches. They are made for the officers in the army, navy or air force but also for the junkies too. The durability and feature these watches are a worth complimentary of the cost of the watch. There are men that ought to brace up and realize that watches are not a luxury but a necessity. We have compiled a NanaDC’s list of awesome tactical watches for military that will make you stand out, survive hideous abuse and more so have a perfect time keeping regardless of the power supply. 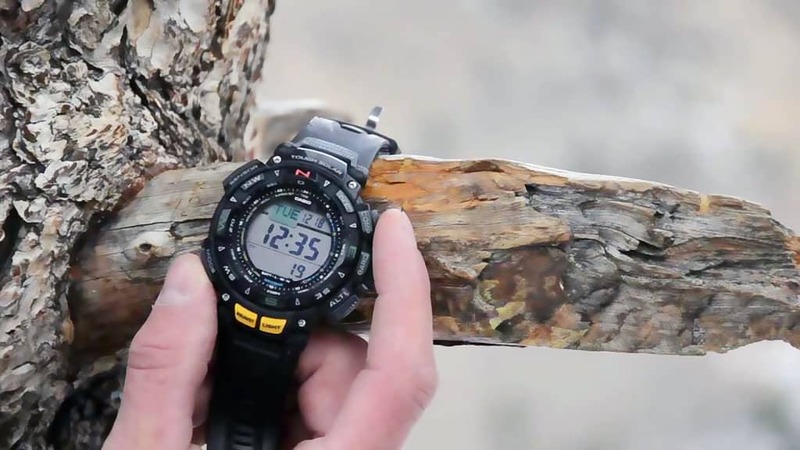 We are going to start with the top-rated defense watch, for the lovers of hiking. This is a watch capable of storing direction memories with a dual-layer LCD display mechanism. It is, therefore, possible to get the course of your previous trip in case you need to go to the same trail. It is designed to rotate the ring very easily with your fingers through its uneven surface. It’s also possible that you can switch on the light senses through a simple tilt of the wrist. There is no much hassle with the Casio Pathfinder. If you thought we have talked a lot about the watch, you have not yet heard about the built-in altimeter, barometer, and thermometer. These are ideal tools that you need for hiking and they are all under one content. They are very important through the changing weather conditions. As you can see, the watch is likely to consume a lot through the many functionalities. The amazing thing is that the watch will recharge while on your hand through the solar-powered battery. Casio PAG240-1CR is a heaven-sent watch that will satisfy all your desires through one watch. Rather than storing the previous direction, this watch contains a heavy-duty compass. It has a great genuine feature that will give you perfect service. This watch has been designed to rest comfortably on the wrist without moving around. A lightweight resin is fitted to hold it together with a durable nylon strap that makes the watch sturdy and comfortable on the hand. The watch has accurate readings through the digital display system with a water resistance of up to 200 meters. It has been fitted with shock absorbers as well which is in full compliance with the ISO standards on quality. The watch is fitted with an Indigo night light which makes it possible to use the watch in the elate hours without any other source of light. In the third place let’s look at the 200m water resistant watch. Its main outstanding feature and hence its name id, the G-shock design which comes along with one analog dial in the center. Another main feature is the preprogrammed calendar commonly known as the auto-calendar that you will use until 2099. You can miss an activity from your schedule. It enhances time accuracy the watch has different measuring modes of time including, the split time, elapsed time and lap time. It will as well be along the 29 world time zones with a time swapping option. It the best for all your traveling concerns. This is the option for those guys who want comfort and style in a watch. It has great impressive features that you simply make you choose this option. Its cozy brand to wear either on the indoors or the outdoors through the watchband that’s made of the silicon rubber. An amazing experience with this brand is that it can show two different times in two locations at once. Apart from these, you can as well access other great features and functions like the calendar, daily digital alarms, and a stopwatch. This watch is available is more than 15 colors and goes at only $15 in the Amazon marketplace. Consider this brand in your next purchase. This is another tactical field watch that has its design made for your comfort. The watch will withstand the worst of all environmental conditions. It is possible to have the altitude, barometer pressure, directions and temperature readings accurately through this watch. The cylindrical buttons make the watch more user-friendly as possible. It has different sensors with different tones that makes it easy to operate the watch without looking at the display. You just need to master the sounds. This watch from the first look you might think that it is an office watch. It has been built to last through the reliable and high-quality materials. It can resist water up to 100 meters where you can swim confidently. The military watches will at the end of the day make the most versatile timepieces. They may be a little bit pricey but the features and great quality you get in return is simply priceless.